This is one of the ff,w printing or Wild Card type effects in which people believe that you're really transforming the cards. 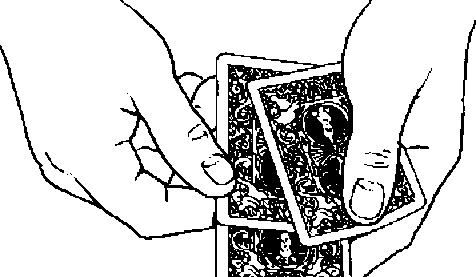 Audiences usually interpret such effects as, "Somehow he is switching those cards for others." It's an indication of how convincing this trick is that the audience never doubts that the card after the transformation is the same one as before. This is also one of the most practical effects of its kind. It's self-contained, ends clean, can be done surrounded, and requires no working surface. I use it constantly, even under tough working conditions.